Some of you may be aware the Boat Quay area had a recent big ‘clean-up’, and thus you would find more restaurants opening up at the Circular Road area. 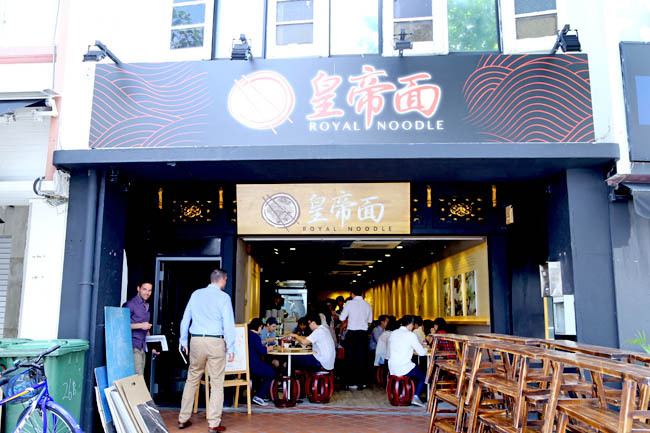 Royal Noodle had been attracting a short queue amongst nearby office workers, mainly because they had promos during openings – $1 during initial days, and $9.50 for a set when I went. Warning: We went down twice about 1:50pm to 2pm and they were sold out by then. I think it was a situation due to a shortage of supply, rather than over-subscription. 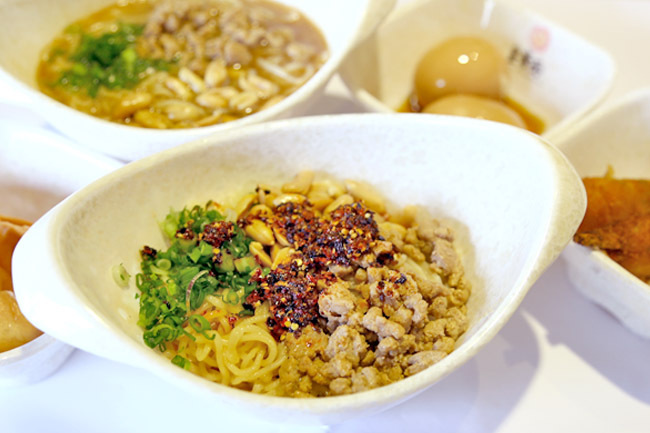 There were four main types of noodles available – dry or soup, spicy or non-spicy, said to be based on a Tang Dynasty recipe. I believe, well, it was a branding gimmick more than anything as both Tang Tai Zhong or Yang Guifei should had consumed better things? The noodles were more suitable for us commoners. 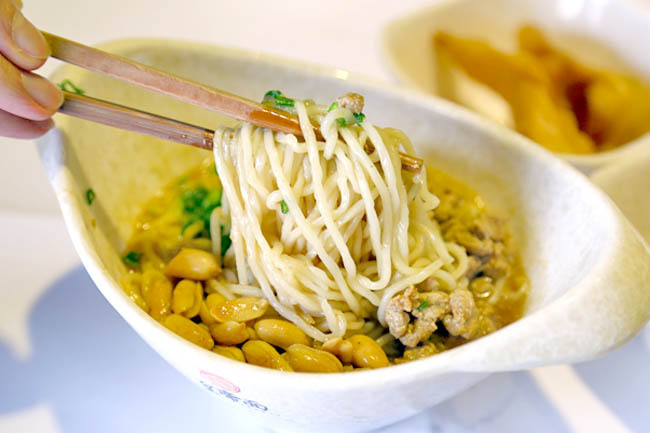 The noodles were cooked Sichuan style, with meat, peanuts and generous portions of spring onions added. Rest assured that the spiciness had been modified to suit the local palate. Comparing the two, we liked the soup version better, kind of reminding me of a milder version of Dan Dan Mian. The noodles unfortunately felt overcooked and soggy, and would appeal more if they were springier in its texture. 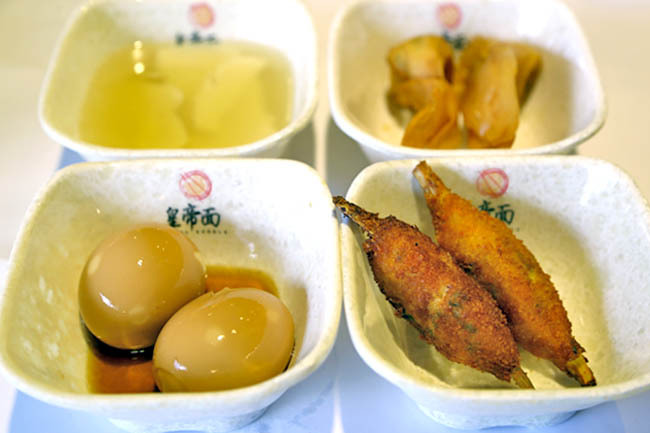 While the side dishes such as tofu, prawn rolls and shrimp dumplings were delicious – the later were fresh and crisp, the accompanying egg was just strange. It was cooked ajitama style, flowing yolk and all, yet cold. The contrast with hot noodles was startling. The noodles were promising, but not overly alluring. This is the type of restaurants I would come once in a while, IF I work nearby. Just saying. Looks a nice place. 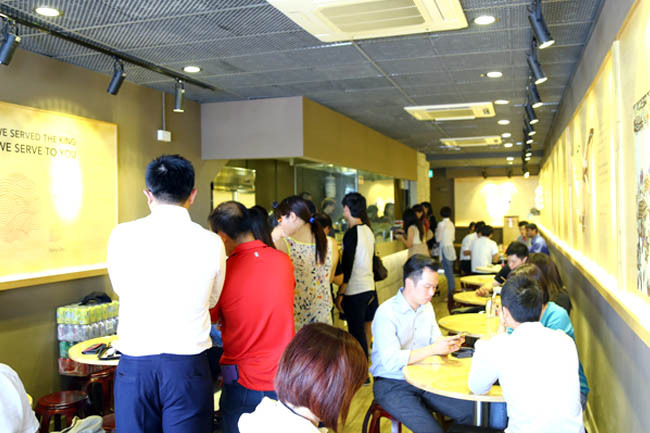 There are too many noodle places in SG though. It’s hard to keep up with them. 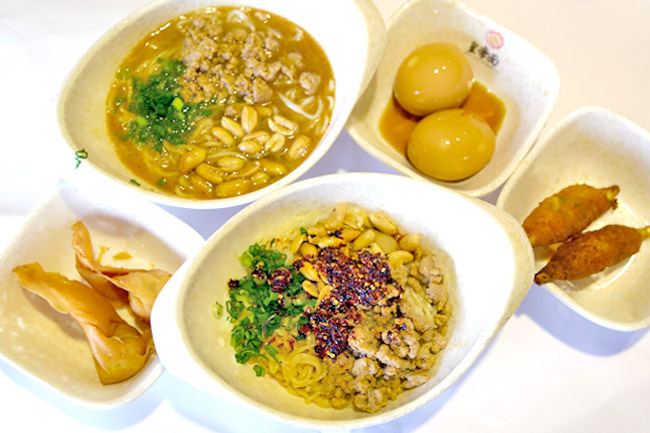 Biang Biang Noodles from Xi’an are my favourite, but I guess this place doesn’t serve them. Yeah, don’t think it serves Biang Biang mian. Only Noodle Stories serve it.